Also known as Sony ST27i, ST27a or Sony Xperia Advance, this model from Sony Mobile is one of the best that you can get for a fairly low price. Being as affordable as it is, it doesn’t come with any of the cool features you’ve seen on more advanced ones, but it is a lot better than other version released during the same year. If you own this phone and currently have issues with it, you could hard reset the Sony Xperia Go by following our indications in this article. The master reset or factory restore procedure is easy to use and can be done at home without requiring any IT skills. To put it shortly, this one will remove all of the data and contacts stored on the RAM while it is going to bring the OS back to original. If you’ve decided to perform this operation, make sure that you create a backup of all important pictures, audios, videos and other relevant files. Coming with 8 GB of internal memory, the phone supports the use of microSD cards. You can take advantage of a 5 MP camera with face and smile detection, this one also recording videos, but there is no secondary camera on the smartphone. Using Android’s Gingerbread operating system, the device can be upgraded to run on version 4.1.2 – this one is also known as Jelly Bean and is much more powerful. 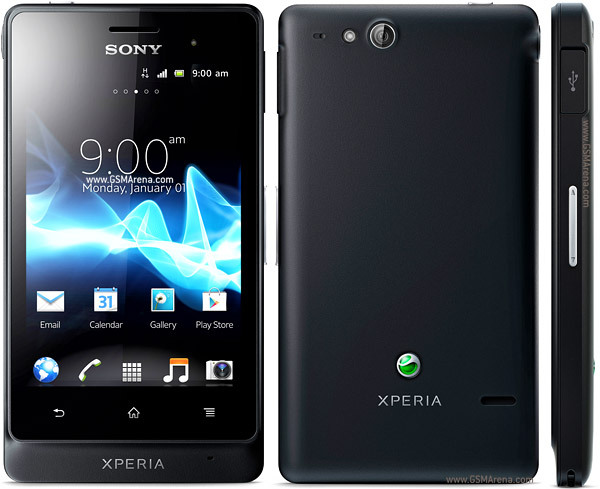 The Xperia Go is equipped with a dual-core processor, a Mali-400 GPU and a NovaThor U8500 chipset, and it also comes with a non-removable battery. The latter is a Li-Ion 1305 mAh one that supports up to 45 hours of playing music and 6 times talk time in 3G. you can also take advantage of an accelerometer, a compass and a proximity sensor on the same device. When it comes to restoring the Xperia Go to factory settings and software, you have various options. The one that suits you best depends on what exactly your problems are. For example, if you’re dealing with software issues, you might want to use the hard reset keys that don’t require a responsive mobile phone. However, using the settings can be an option when the problems are rather mild. Switch off the device and fully charge it. Remove the cable and press Power + Volume Up. Hold both keys and wait for a menu to appear. Follow all instructions and confirm the reboot. Press Power to turn the phone on and go to the Menu. Press Settings and select Backup & Reset. Read the info and tap Factory Data Reset. Confirm with Reset Phone, and then press Erase all. An alternative that you have in case none of the previous options worked out for you is to install a tool from Sony Mobile. Many of them will allow you to perform a master reset, the same as you can use these apps on other similar models from Sony. One of the best softwares to install is the Flash tool that can be downloaded using this link. Install the program and ensure that you have all drivers for the USB data cable. Turn the phone off and press Volume Down while connecting the USB cable. Accept all data and follow the indications on the display. The phone will reboot and finish the operation within 5 minutes.